We are often interested in the question whether two variables are “associated”, “correlated” (I mean the normal English term) or “dependent”. What exactly, or rather in normal words, does that mean? Let’s look at some easy case. NOTE: The example has been updated to reflect a more tangible and sensible scenario (find the old one in the previous commit at Github). For example, let’s look at survival rates of the Titanic disaster, to see whether the probability of survival (event A) depends on the whether you embarked for 1st class (event B). 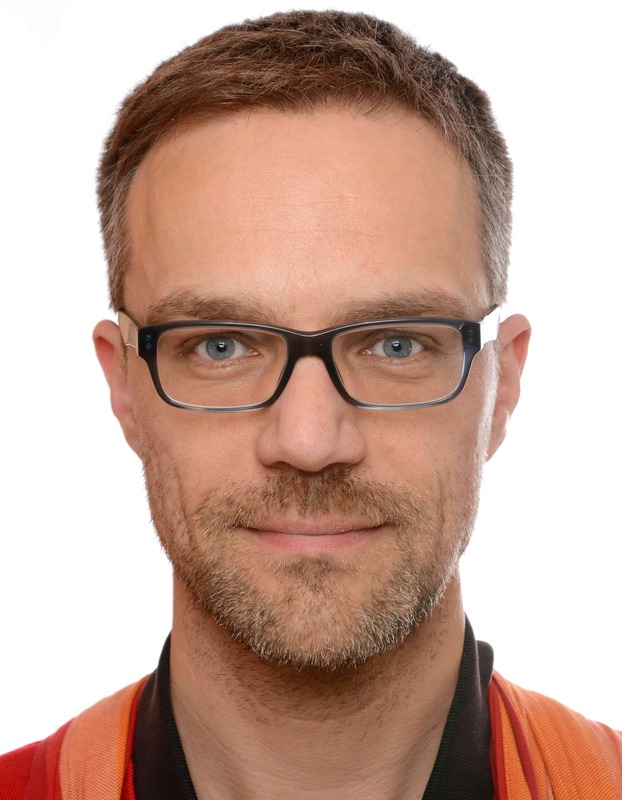 Let’s load the data and have a look at them. Look at the package description for some details on the variables. Let’s look at the survival rate in general, that is to say to probability of A - irrespective of the the class (1st class or not 1st class). So, that was warming up. Let’s see what the probability (percentage) of survival is for both 1st class and non-first class. 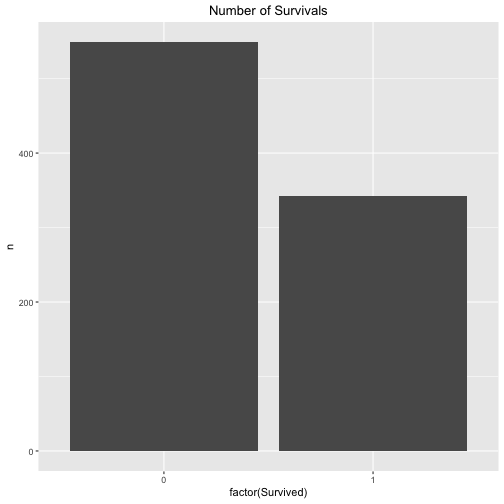 We easily conclude that the probability of survival is associated with passenger class. 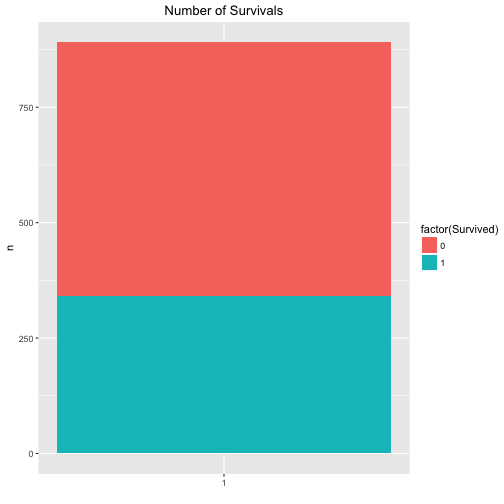 The probability of survival (event A) given 1st class (event B) is considerably higher than the probability of A given non-B (event B is “not 1st class”). That means in plain English, that the probability of A (survival) given B (1st class) is equal to A irrespective of B, that means irrespective of B is the case or non-B is the case. In short, that would mean the survival probability is equal in both cases (B or non-B). Here, the “cup” means “OR”. $$p(Survival 1stClass) = p(Survival 1stclass) OR non1stCalss}) = p(Survial non1stClass)$$. 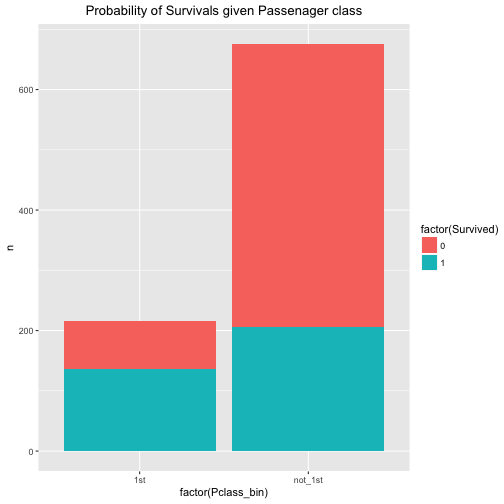 In words, whether someone survives is independent from the question of his or her passenger class: Survival probability is the the same in 1st class and in the other classes (“non 1st class”). The difference p(A|B) - p(A|nonB) is not zero. Actually it is quite far away: If you are in 1st, your survival rate is 32% higher if you were not in 1st class. Quite strong. However, note that this last step is subjective, no job for statistics. Finally, let’s look for two variable which are not associated. For example: Shoe size (of adults) and their bank account number. 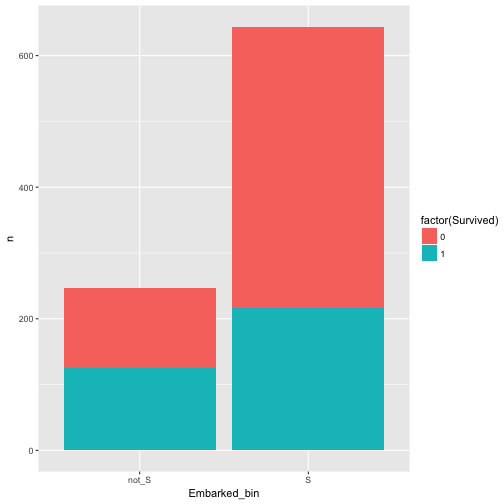 In our dataset, what about port of Embarkement: Southampton vs. not Southampton and Survival rate. Hm, appears to be related/associated/dependent/correlated. Ah, yes, there is some dependence. 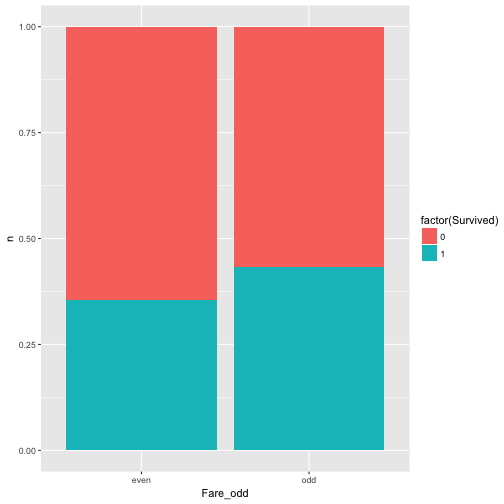 Ok, last try, this is should be a save win: Whether fare is an odd number (eg., 7 Pound) and survival are related. Well, nearly equal, approximately independent, or independent enough for me (as said, that’s subjective). Of course there are numerous ways to “measure” the strength of assocation. Odds ratios, for example, a popular choice. The reason why I like or presented this version is that I find it intuitively appealing. In my teaching I found that the Odds Ratio was somewhat more difficult to grasp at first. Also note that we where looking at discrete events, not continuous.